A wee moment of anxiety as the clergy from the church of St Magnus the Martyr, which sits on the north side of the river, wait for the clergy from Southwark Cathedral, from the south side of the river, to appear. 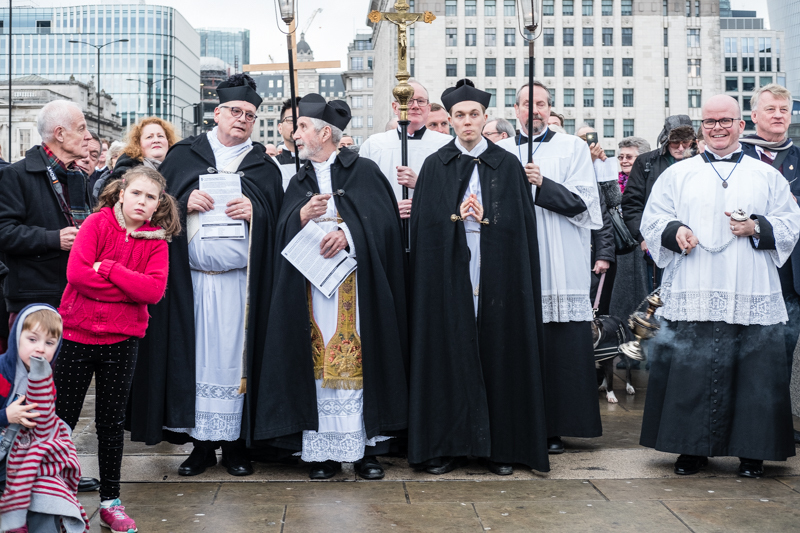 The event is the annual blessing of the Thames. The clergy from each church meet in the middle of the bridge marked by different colour pavers. The bells of each church toll, as a short service takes place blessing everyone who uses the river, for work or recreation. Those who cross the bridge each day are also blessed, as are those whose lives the Thames has claimed. 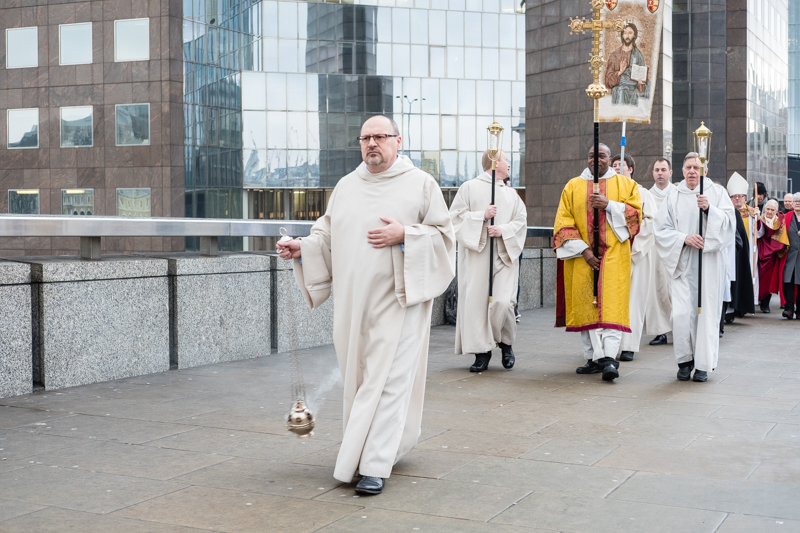 A wooden cross is then tossed into the waters, which looked for a moment if it was going to be swallowed up by a passing Thames clipper, but to the delight of the crowd watching, it continued bobbing along the surface of the water heading out to sea. I remember you posting about this ceremony a few years ago. These are great shots. I love the anticipation on the faces of those children. The blessing of the Thames... what a good idea! I say this as I used to be one but there's nothing sillier looking than a bunch of clergy all made in their dresses and Mickey Mouse hats standing around waiting for something to happy. I'm sorry, but I'm still laughing. It would be a moving experience, watching these events unfold. Love the range of facial expressions. Mo, I love your top photo. Everyone has a different body language or expression. I especially like the young girl in red leaning to look and the almost giddy priest on the right side. i didn't know this tradition ! The top photo is just superb! Looking at the faces, the moment and all the details you managed to include in it. Fantastic!